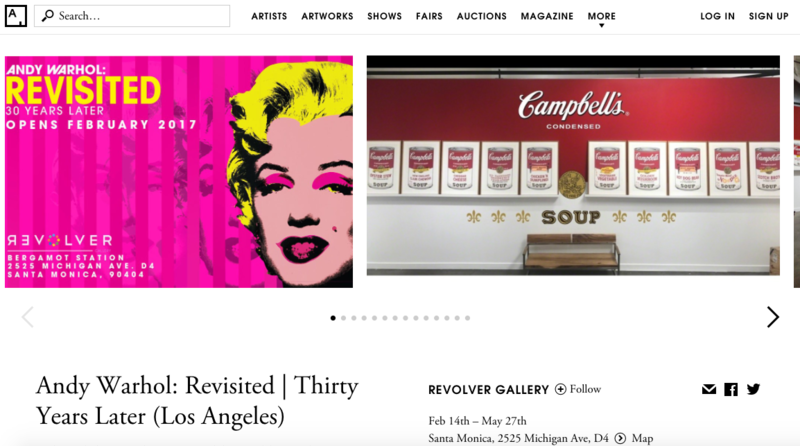 Andy Warhol: Revisited is a touring exhibition celebrating the iconic artist’s work. The exhibition begins on February 14th, 2017, coinciding with the 30th anniversary of Andy’s untimely death. 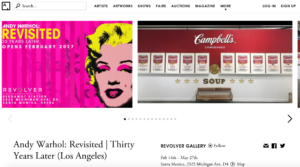 Warhol Revisited includes over 200 works of art in rotation. Visit Artsy to view the article.